Tupello Property ServicesBlogBlogWhat Are The Advantages Of Warehouse Heating Systems? The place in which your warehouse is located might be prone to extremely cold temperatures. Some products in your warehouse may end up being damaged by these temperatures. That’s the reason why you need an ambirad heater. By warming the air in the warehouse, the heater will help prevent your products from getting damaged by excessive moisture. That will help you save a lot of money in the long run. When your warehouse is cold, your workers have to put on heavy and oversize coats in a bid to keep warm. This does not just make them clumsy but also slow in their work. If you need to make your warehouse workers more efficient you need heating solutions to make the environment warmer for them. After all, you don’t want to have workers that are extremely slowed down during the high season. 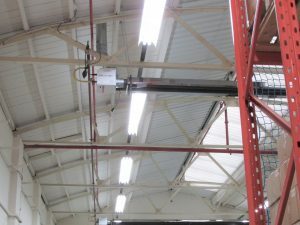 You want to make your customers happy with your services by installing warehousing heaters. Warehouse heating solutions ensure that there is no mould building up on the shelves, products, or product packages. That way, you can be sure of not having damaged goods or packages. There isn’t even one warehouse owner who would like to have their customers return goods for replacement. That’s the reason why you need to install an ambirad heater in your warehouse. If you are looking for the best warehouse heating systems, talk to your ambirad heater supplier today. You will be glad you arrested a problem even before it occurred. Damaged goods will not just lead to a spoilt reputation but you will also have many satisfied customers.